Digging up a fire hydrant is costly, usually between $2000 to $4000 per hydrant, when all factors are considered. Factors to consider include the cost of the hydrant, fittings, thrust block, replacement of shrubs, tress, and sidewalks. Fire hydrants weigh a minimum of 500 pounds. The amount of metal that fails in one usually weighs about 2 pounds. If it cost you $2000 to replace the hydrant, then the failed metal cost you $1000 a pound, which is the same price as a pound of gold. Cheap metal in fire hydrants is not a bargain. 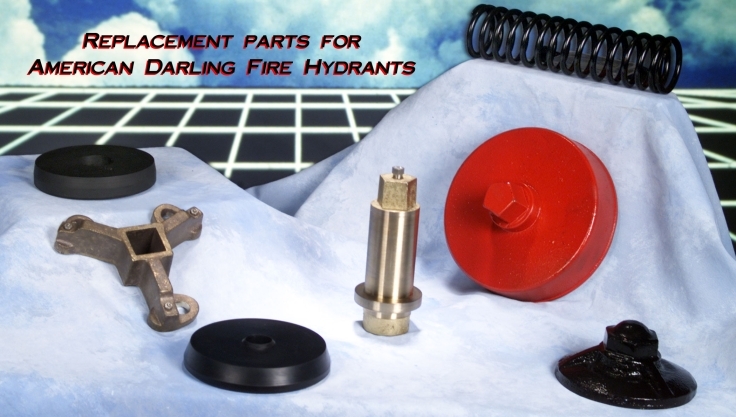 We supply high quality metals in our fire hydrant parts. Environmental Plus - Each new fire hydrant requires about 165 kwh to produce. This is enough energy to heat 12 homes for a month. Our upgrade hydrant only uses 8 kwh of energy to produce. Digging can be both hazardous and costly. Consider the hazards of working around high pressure gas pipelines and underground electric wires. Blocked traffic due to excavation puts those workers and the motoring public at risk. The repair cost if you cut a fiber optics cable can be enormous. All parts are made, cast, and machined in USA. We accept Discovercard, Mastercard and Visa.